We are happy that we can greet you with some wonderful news. 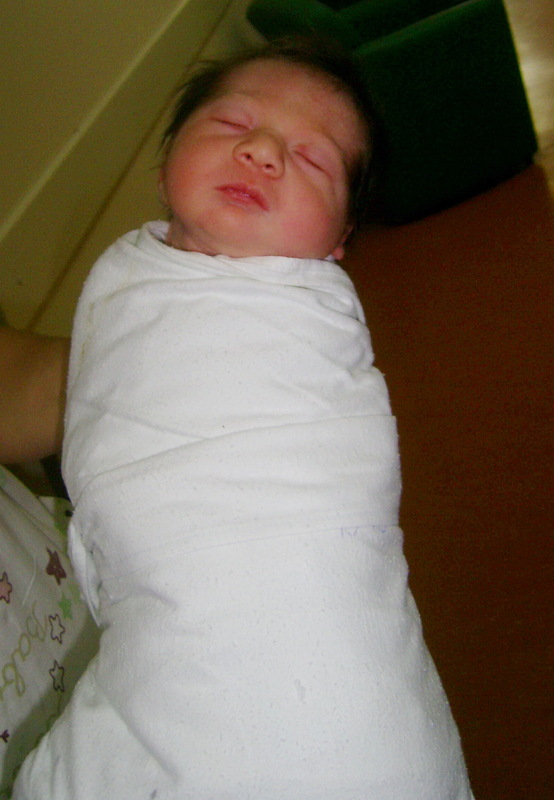 Yesterday, on Nov 22, 2012, Jaroslava gave birth to our third daughter, who weighs 2850 g and is 50 cm long. Her name is Sofia Lena. Yesterday, here in America, it was Thanksgiving. It is a big holiday with a lot of feasting. We spent it with a wonderful family of our friend Richard Hall. As the name of the holidays says, it is a day when people give thanks for all the wellbeing that they’ve had during the year. As Christians, even in the greatest storms of life, we always have reason to be thankful and no life circumstances can take that away from us. What contributed to mine and Sara’s joy was this wonderful news that we got the fifth member of the Milenkovic family. We are thankful to God that everything went well, and that He gave us another precious gift. It’s been almost two weeks since Sara and I arrived here to Memphis. I have to say that everything is far above what we had expected. Sara has a fantastic care here. The doctors and all the staff, the quality of care, accommodation, the conditions of life etc. are truly extraordinary. This is a place of miracles. Children from all over the world come here for treatment. There is a huge campus with hospital buildings, which looks like a big village. Everybody says “hello” to each other, everything is in peace and in great, even cheerful atmosphere, even though all of us who are here with our children are going through the most difficult times of our lives. We could say that Sara’s at the best place possible in the world. The days behind us have been pretty tiring because Sara was going through many diagnostic procedures and preparations for the further therapy. A few days ago her radiotherapy started and it is going to last the next 6 weeks. The good news is that there is no cancer in the bones and the spine, which often happens with this type of tumor. After this therapy and a few weeks break, she will undergo the chemotherapy which will last 4-5 months. Sara’s been handling all this really well and she’s really happy to have such good care here. One of our fears was how she was going to emotionally handle going so far away from home. But she is so thankful to be here and is saying that we’re at the best place possible. She trusts the people around her even though she often doesn’t understand them. 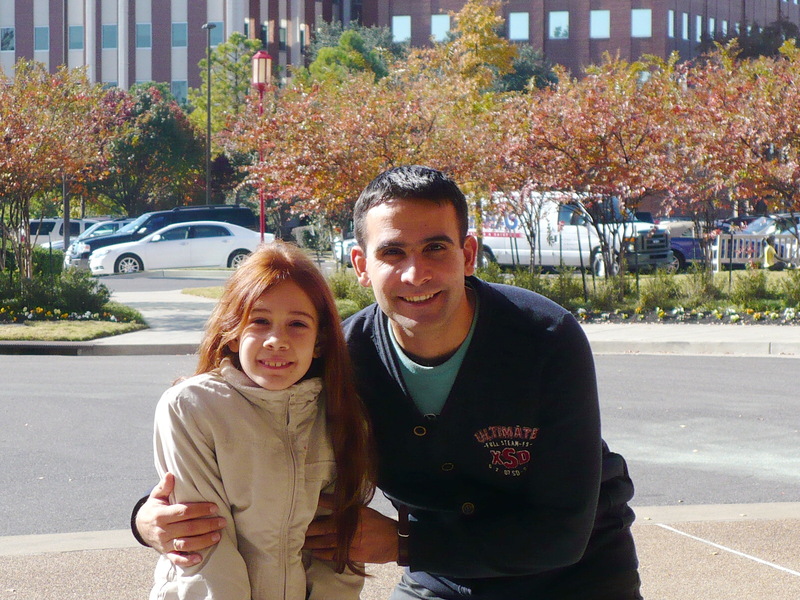 Sara has started school that she has here in the hospital. For now, she only has individual classes of English language, before she starts attending other subjects as well. We have been put us into a beautiful building, where all the families with the children who are treated in the hospital are accommodated. We have a comfortable apartment here. We have such wonderful friends here in Memphis who are wholeheartedly open to help us and serve us while we are here. We are thankful for them from the bottom of our hearts. Life with them here, far away from home, will be much easier. Thank you all from across the world and Serbia who are praying for us and helping us, our family back home and the ministry of the Bible school. Thank you for being with us and for the fact that we can see the wonderful and mighty hand of God in all this. Please keep praying for us, for Sara and her recovery. We do not know the future and it’s not in our hands. Even though we are often scared of thinking about what might be out there and what all may happen, we trust the Lord and pray that He would give us strength and faith in Him, day after day and that is it. Today’s lifestyle somehow teaches us to live and behave as independent people who can do anything, but in circumstances such as this one we learn that we are actually not the gods of our lives, but that we always need the One who loves us immensely and who gave us to live our lives, who gave us our families and everything, and upon whom everything depends. Such is our God. May the peace of the Lord dwell in your and our hearts as we begin or continue to trust Him. « Internet cafe open in Ruma!